Microsoft's HoloLens looks like a vision of the distant future, but thankfully, it appears that hi-tech headset could be here sooner than we thought. 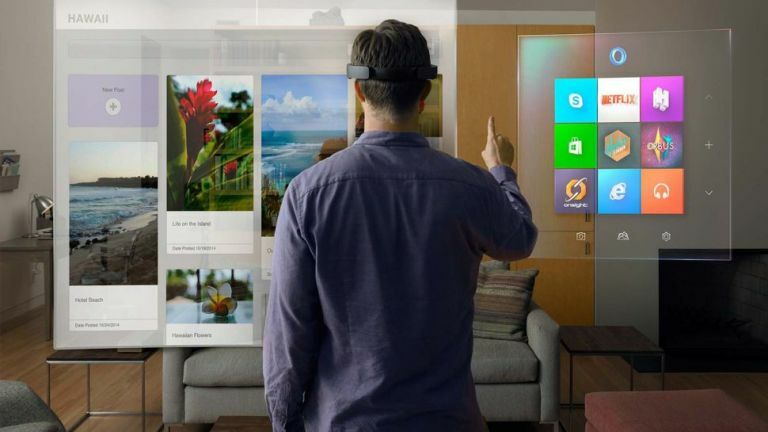 Microsoft CEO Satya Nadella has been speaking about HoloLens, and dropped a pretty big clue about its release date. The tech boss said that the first version of the augmented reality headset will be shipping “within the next year”. Before you get your hopes up though, note that the first model will only be shipping to developers initially, as a prototype edition. In an interview with the BBC, Nadella said that it will be focused “more around developers and enterprises” – so in other words, it won't be for consumers. He went on to describe the HoloLens project as a “five year journey”, which means everyday folk might not be able to don one on their heads for a while. Let's hope Microsoft stays on track and we don't see a repeat of the Oculus Rift situation, which was dogged by delays before being given its 2016 release date. Microsoft announced HoloLens back in January, and it's since piqued the interest of technophiles by offering a different experience to the virtual reality headsets that are on the horizon. Rather than taking users into a Matrix-style virtual world - like Oculus Rift, Sony Project Morpheus or the HTC Vive – HoloLens projects images onto the environment around you. One thing we're particularly looking forward to is world-building on Minecraft, which Microsoft said will be adapted for the HoloLens platform. Despite all that, there are a few things that concern us.